There are dozens and dozens of LVV compilations, but the only ones worth getting are pictured above. The one on the left has a 107 booklet full of great information and all the tracks are beautifully remastered. The one on the right is a bootleg that you might be able to find in Miami and contains mostly rare B-sides and collaborations with Silvio Rodríguez and others. 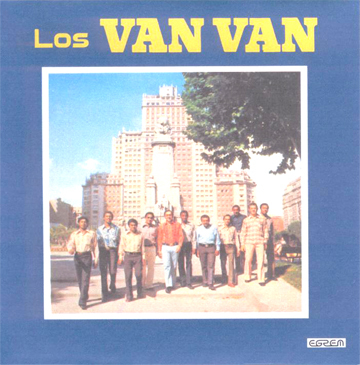 All of the others are just different mixes of tracks from the above albums, although a few have the great Aquí se enciende la candela which never made it onto a regular release. Gracias Formell is a must-have CD. It was also realeased on RMM's Forbidden Cuba series. It's a 1997 recording of Juan Ceruto's extremely creative re-arrangements of 10 Formell songs, mostly written in the 80s, each performed by a different star singer with a backup band consisting of the best timba musicians. Also still available at descarga.